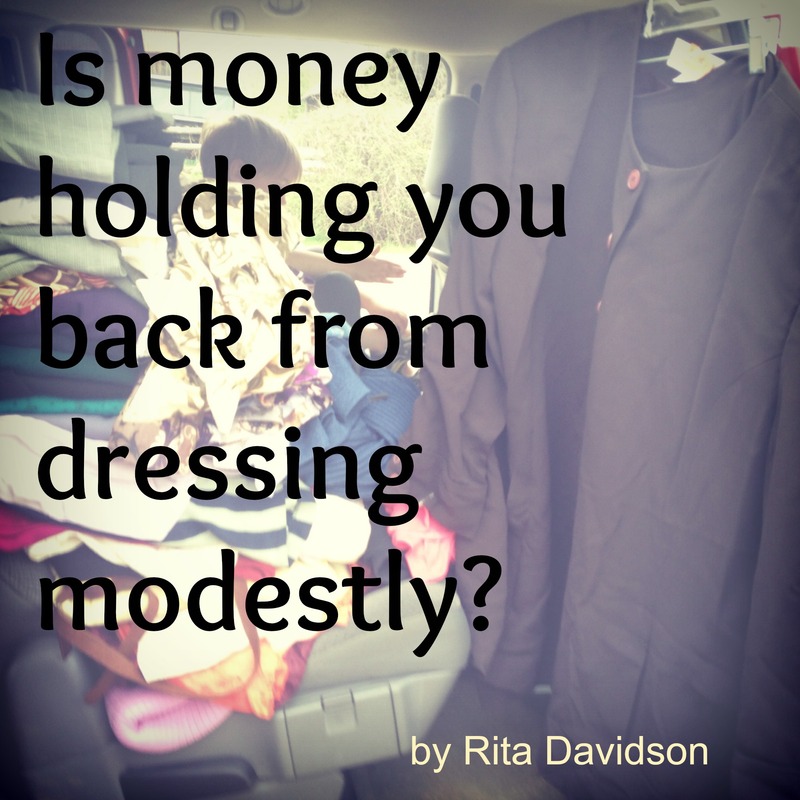 Is Money holding you back from Dressing Modestly? 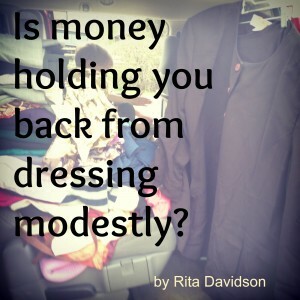 Blog Is money holding you back from dressing modestly? Having disposable income to spend on skirts is well, a matter of perspective. I think it’s really a matter of priorities and commitment. If you have 'one' skirt in your closet right now, and were fully, totally “committed”, you could or rather would, wear that ONE skirt day after day, (washing at night even, hanging to dry if needed) until you could "afford" another. Really you can’t? Why not? It’s clean. It’s comfortable. Oh did I hear you say, people would notice you wore it all week? Oh my! You see, it’s not the money at all! It’s the reaction you might get, the looks you might have to deal with, the comments you might have to hear. Don’t you see if you just committed to wearing that ‘one and only’ skirt you had, (and I AM exaggerating here, as most of you will have more than one) with all those negative comments (that you might not even get) you’d work, and pray really hard to get skirt number two FAST? You see making a COMMITMENT to modesty, would make this a PRIORITY for you to find a WAY. Yes, many of us “say” we do not have any extra income to speak of. Let’s remember here I am NOT as fortunate as I may seem. 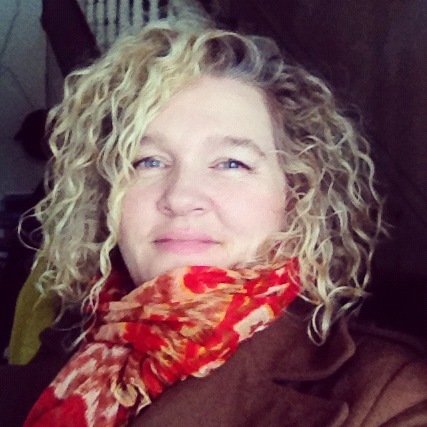 YES, its true, I got a TON of used plus-sized clothes FREE the other day that I shared on my Facebook page, after my last post of Modesty, even when Homeless. That I say, is an example of how God blesses you when you allow Him to provide for your needs! But, I have sacrificed much more than most of you know; to stay modest these last 17 years, just the latest is losing our home! We had little extra income before, and after our fire losing everything that put us homeless we had Nothing. But when we make something a priority, and get ‘serious’, we 'find' ways to make it work. I firmly believe GOD “finds ways” for us to make it work. In my book, Immodesty, Satan's Virtue, I gave instructions for a basic skirt for first time sewers! Unfortunately it is now out of print. Just like my blog post last week shows. It's a matter of TRUST and stepping out in faith. Then be open to ways that will make it work for you. (as I said I can be stubborn! LOL you should be too! ) this really helps. My big WINDFALL the other day, was rare indeed! We have a recycle trailer here at our ‘dump’ and after going there for more than 10 years, I finally found plus sized skirts and dresses there in my exact size! This is NOT a regular occurrence for me, but I do take it as being an example, that God can make anything happen when we put ourselves out there to trust Him first. The whole blog post I wrote that day was a matter of TRUST on my part to share that intimate part of our homelessness last year. And this is how God blessed me for TRUSTING HIM. How much more will He bless YOU for trusting HIM? So when will you make the ‘commitment’ needed to dress modestly? 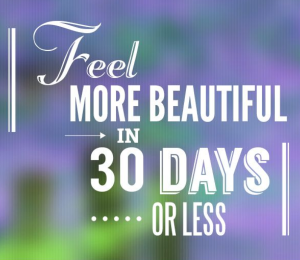 Share with me your struggles, I want to help you make this work! Thank you for your kind comments and insight. It is true we cannot take half measures towards God. It is true though that so many of us have fallen when we are just beginning. Thinking something is okay when it is not. I think we must realize that we all make mistakes, even those of us being modest for a long time. And we must forgive little mistakes and always be sure we are moving forward. We can always do better, each day. Your so right Rita, it is a matter of what people will think that makes some not dress modestly. Since I started wearing skirts and dressing modest 10 years ago, I have found that most people do not even notice if you wear the same skirt two days in a row. I feel more lady like and it is so much cooler in the summer months, since I live in Fl.. You can make your own or shop at thrift stores which is what I did in the beginning, when I was wearing plus size. Still to this day and 50 pounds, lighter, I still get most of my skirts from the thrift store. Congratulations on the weight loss too!!! Yes, it’s true, people don’t notice as much as we think really. And in 100+ F here I am plenty warm in winter and cool in summer too. God bless you for staying true to modesty! 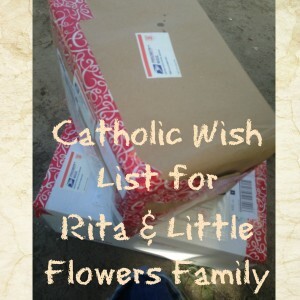 Rita, I am getting so much out of your writings lately..knowing your situation and that you are trying to help others and staying focused on God. I have that “one” skirt (actually I have more), but it’s a daily skirt that I almost always wear out..it’s a jeans skirt..it’s kinda like wearing jeans out for me, but with modesty..I switch up the shirt of course..and although I am a little tired of it after a couple of years, I really didn’t care too much about what others thought of me wearing it often. Would they think the same if someone wore the same pair of jeans? Maybe not. I think I might like to have a few of the same piece of clothing so I didn’t have to think about it..just grab it and go..I think too much emphasis (esp. for women) is put on what we wear! As a single mom, frankly I just don’t have time for worrying about it! If it meant more to me, I’m sure I would make time. If others judge me for that, that’s on them. If they won’t be friendly because of it, well, maybe they’re missing out..but I do hope that God helps change women’s mindsets about dress. I think probably most are dressing to please men, whether they’re married or not. And that’s part of the problem too. I am interested in that skirt pattern if you can share it. My 12 year old daughter knows more about sewing than I do..but I am determined to make the time and learn! I’m so glad your getting so much out of my writings lately!!! Once you get past the first steps about dressing modestly it does really free you in choosing clothes easier. Thanks for sharing with everyone! That is great your 12 year old daughter knows how to sew! 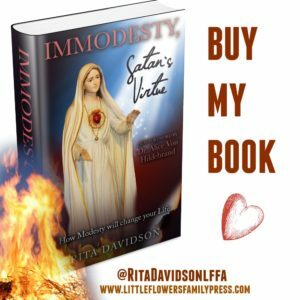 Have you read my book, Immodesty, Satan’s Virtue? 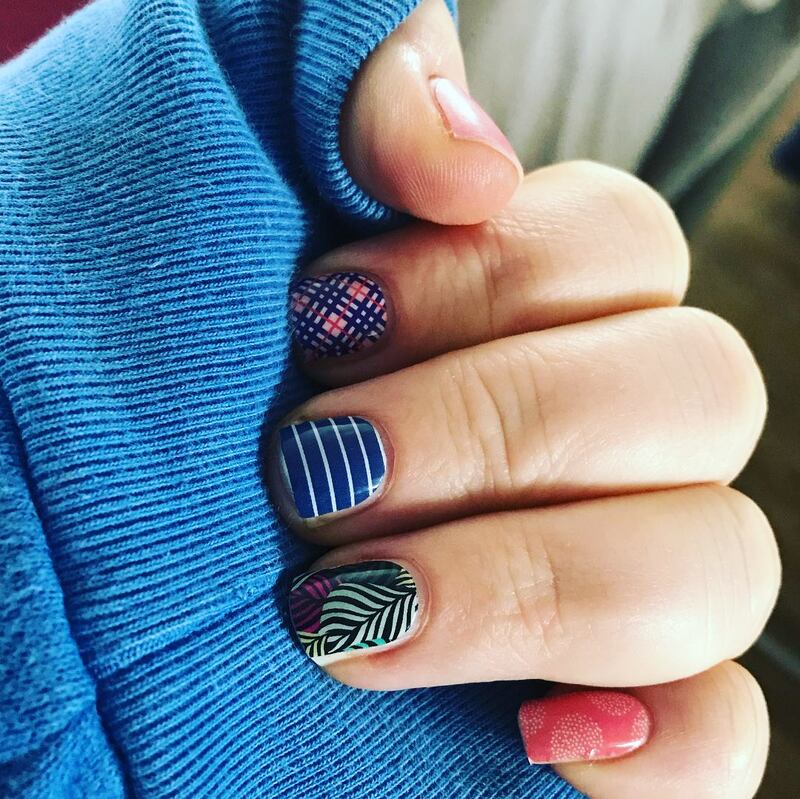 Is that the pattern you mean? So good to hear from you! I”m so glad that you have shared your struggles with me. LIving in Canada, we often get easily -20F here at times as well. Right now it’s already 40F and seems our summer is all but over! So I truly know what it is like to be cold in a skirt! That might give you some tips and if not I’d be happy to answer more there. I too am plus size, so I know what you mean about not wanting to look any bigger than we already are! All I would say there, is regardless of how large we are (I’m hovering from 20W to 22W) it helps to dress comfortable and then to ‘forget’ ourselves so we don’t worry about what we are wearing so much. I often wear wool petticoats under my skirts and that is often enough to keep me warm for extended times. I am not cleaning poop out there though and so I would think you would want to have an overskirt you could put over or even a long apron to wear to cover the front of your skirt. This would only keep off the worst of the poop-y stuff! But, think of it this way, if you were wearing jeans, they would get just as poop-y! No? So all you need is some good tough denim skirts with plenty of space so you can have enough room to bend easily however you need. And easy wash up later, without ruining a dressier skirt. I hope this helps a little bit. I’m always happy to help so if you have any more questions do please let me know! Author of the bestselling, “Immodesty, Satan’s Virtue” (2001) and more! Yesss great post! Its like St Luke. Chapter 12, verse 4-10. “And I say to you, my friends: Be not afraid of them who kill the body, and after that have no more that they can do. But I will shew you whom you shall fear: fear ye him, who after he hath killed, hath power to cast into hell. Yea, I say to you, fear him. It’s so true…we just have to get over the fear to change our wardrobes and we realize the graces that flow to us. I can’t wait to share this message of real Catholic modesty with the world! Author of the bestselling, “Immodesty, Satan’s Virtue” (2001) returns from the ashes!